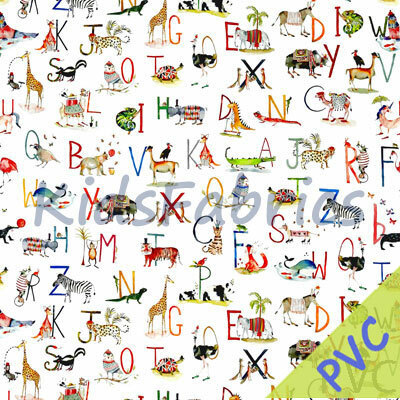 PVC Animal - Alphabet design in Paintbox. 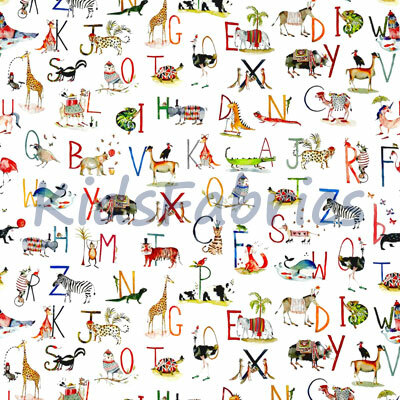 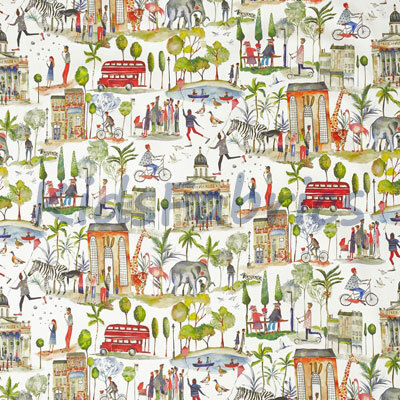 Camel, Elephant, Rhino, Tortoise, Ostrich, Hippo, Leopard, Bear, Zebra, Tiger, Giraffe, Panda, Llama, Flamingo & Kangaroo in green, orange, red, aqua and black on ivory background. 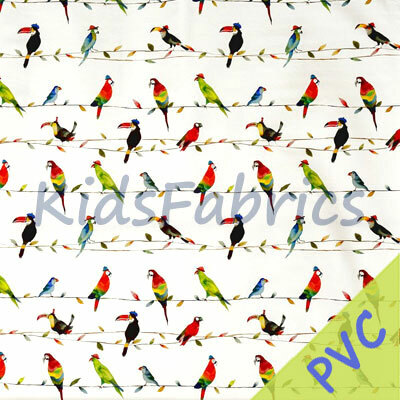 Note: PVC swatch may not be available - fabric equivalent is provided with an example of the PVC fabric.